Sarah Deyong, associate professor at Texas A&M University, has accepted the appointment of Architecture Program director with the University of Nebraska-Lincoln’s College of Architecture. Deyong will assume her position with the college July 1st. As associate professor at Texas A&M University, Deyong taught in the areas of history, theory and criticism (HTC) and design studio. She believes that areas of specialization, such as HTC, must effectively enhance the vital center of the curriculum: studio and integrated design. 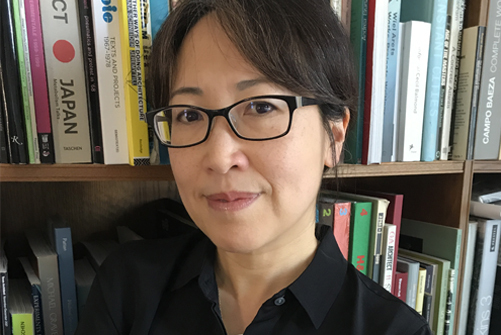 Deyong is known internationally for her research focused on the post-WWII period to the present, underscoring the symbiotic relationship between HTC and design practice. With grants from the Graham Foundation and the Glasscock Center of the Humanities at Texas A&M, she has published her research in leading venues, including the Journal of Architectural Education (JAE), the Journal of the Society of Architectural Historians (JSAH), Praxis, the Journal of Visual Culture, and the Journal of Architecture. In 2015, her JAE essay, “Re-Thinking the Legacy of the Sixties: Pliny Fisk’s Political Ecology,” garnered the ACSA/JAE Best Scholarship of Design Award. Additionally, Deyong serves on the editorial boards of two national flagship journals: the JAE and JSAH. Her work can also be found in numerous book chapters and her co-authored book “The Changing of the Avant-Garde: Visionary Architectural Drawings from the Howard Gilman Collection”. Deyong received her Ph.D. at Princeton University and her MA and B.Arch at the University of Toronto. In addition to the Architecture Program, the college is comprised of other design and planning programs including interior design, landscape architecture and community and regional planning with a tradition of excellence in education, research and service to the community. Its fall 2017 enrollment was 521 students.